At last count there were 231 retailers, restaurants and food manufacturers who had made commitments to sell only cage-free eggs, with most selecting 2025 as a target date. These organizations’ commitment coupled with the egg industry’s current cage free production capacity limitations and consumers’ desire for choice have created a challenging situation. Currently, consumers face a myriad of choices at the typical retail egg case. What size to select? Brown or white? Omega-3 enriched? Organic? Shell or liquid? And of course, one of the most complex questions — how were the hens that produced the eggs housed? Egg farmers in the United States and their retail customers are faced with similar questions as they navigate the complicated issue of long-term commitments to cage-free egg production. Often, the questions outnumber the answers. While the egg case is the “finish line” of egg production, there are so many considerations along the egg’s journey from farm to store. Together with their customers, U.S. egg farmers must individually identify the most feasible way to manage the pre-transition periods leading up to the 2025 target date because the industry still needs another 200 million hens that are cage-free to satisfy industry commitments for that date. Cage-free production is more expensive than traditional production, up to three times more in most cases so there are huge cost considerations for producers. Some estimates project the entire cage-free transition could cost egg farmers more than $10 billion. Will consumers be willing to pay more for a product that is more expensive to produce? How could government programs like WIC or SNAP, which have significant retail implications, be affected? 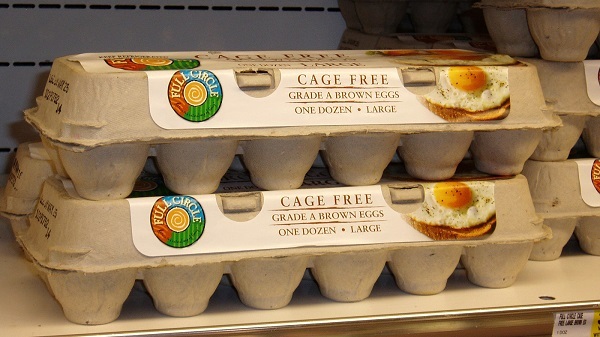 Egg farmers and retailers are quickly learning that the transition to cage-free, with all its complexities, must be made within the context of all these questions. With the challenges and uncertainties of the changing egg market there are many factors to consider, such as egg safety, affordability, demand and environmental impacts. Each of these impacts must be carefully evaluated by the individual participants — there is no “silver bullet” that can make this transition swift or easy. Satisfying customers in a fluid and highly-competitive environment is something UEP’s farmer members do every day, but never before on this scale or with such precision. For example, egg farmers must be as customer-focused as always, while also assuring a stable business environment and a ready supply of affordable eggs, even as they plan their own strategies for one of the most significant food industry transitions of our time. Another pressing question for retailers: Will enough egg farmers be ready? USDA has estimated that if grocery, restaurant and foodservice customers actually meet their transition commitments, within eight years or less, 228 million egg laying hens will need to be housed in cage-free environments, and they will produce more than 63 billion eggs. To meet the needs of announced transitions in the grocery sector alone, well over half the current egg-laying hen population will need to be in cage-free housing. Today, only about 10 percent (29 million hens) of all U.S. flocks are raised in traditional cage-free housing. Getting to 2025 levels is not a switch that can be flipped overnight. It is not practical, nor feasible, to make this transition quickly. Egg farmers who intend to participate in cage-free production know they must start planning now – and investing millions to construct new cage-free barns. Equal parts strategy, communication, commitment and trust between egg farmers and their customers are an absolute necessity — these family-owned and -run farms cannot make multi-million-dollar investments based on announcements alone. UEP’s farmer-membership supports all types of hen housing for egg production, when they provide for proper hen health and well-being and meet or exceed all food safety requirements. Consumer choice is a good thing, and grocery shoppers are fortunate to have a wide variety of options in the egg case. Unfortunately, the hen housing debate in most cases has left consumers confused and muddied the waters around hen welfare. Choice also matters for many Americans who rely on the WIC or SNAP programs. Eggs are one of the most affordable sources of high-quality protein — and a staple for most families. While laws may vary, many states do not allow SNAP or WIC recipients to rely on government benefits for the purchase of cage-free or other specialty eggs. Chad Gregory is President and CEO of United Egg Producers, a cooperative of U.S egg farmers who represent more than 90 percent of U.S. egg production. For video, photos and other resources, view Resources. interview requests, contact Hinda Mitchell.